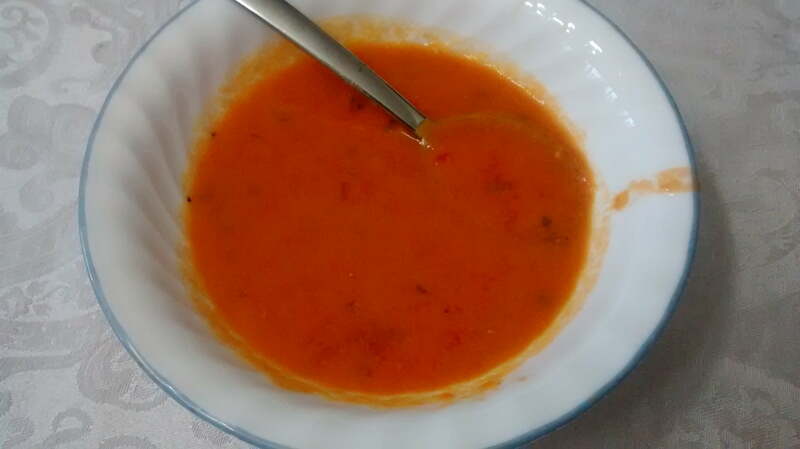 Homemade Tomato Soup in 7 Minutes. Delicious, healthy, and quick. My mother-in-law gave me a pressure cooker. Of course, I have a 23 quart pressure cooker/canner, but you can’t really cook a meal for four people in that big thing. 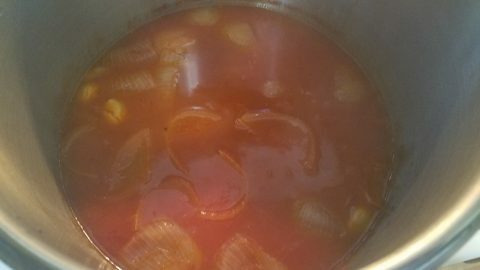 The tomato soup was the first dish I’ve tried in my new cooker, and I’m glad it was a success, because my following experiments resulted in burned rice and pasta. It’s tricky, because it’s not like you can open the lid and check. If anyone has tips or recipes for the pressure cooker, please pass them along to me! I buy 6 pound, 6 ounce cans of crushed tomatoes from Costco for $2.99 and use for this soup. That’s quite a deal! I’ve never tried it, but you could try this in the slow cooker, or on the stove if you don’t have a pressure cooker. Lock cooker, and bring to pressure. Cook on high for 7 minutes. Let it come down to pressure naturally. 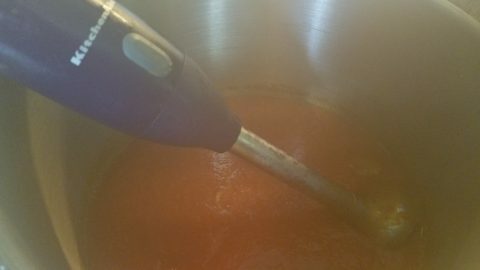 Take lid off, and puree with immersion blender, or transfer to a blender. 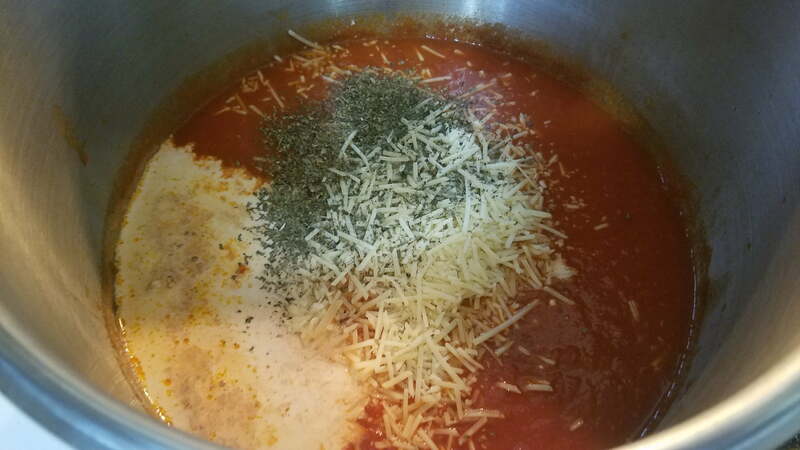 If using a blender, make sure you vent so your soup doesn’t explode! Looks great, I ❤️ tomato soup!